Sexual harassment and how to talk about it has been a focus of conversation on and off social media in Nunavut over the last week. The conversation was sparked by Iqaluit Mayor Madeleine Redfern's comments to a House of Commons standing committee on the Status of Women last month, which was focused on women in politics. Redfern said: "When our Inuit male leaders travel with their female staff, they think it's a benefit and a perk that they can actually sexually harass, sexually assault or have relationships with women on the road." 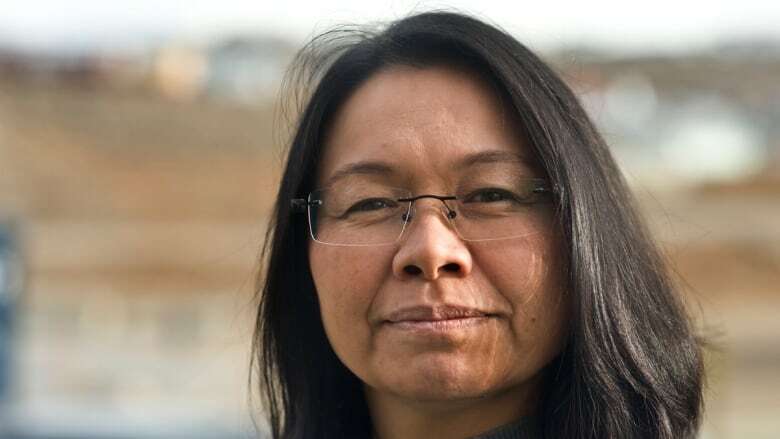 The president of Pauktuutit Inuit Women of Canada, the national advocacy organization for Inuit women, said of course harassment happens, but she's not familiar with the specific issue Redfern raised. "If [Redfern is] experiencing or is hearing from women, she's entitled to say something. But personally I'm not aware of current cases of this nature," Rebecca Kudloo said. Kudloo advocated for a more holistic approach to the discussion, pointing to intergenerational trauma and the shortage of housing in the North as the root causes of some abuse. She said Pauktuutit is looking to create spaces for women who are harassed to share their stories. "When we make a statement we have to be pretty careful about what we mean, we also know that men have been abused," Kudloo said. Many, including Nunavut's premier, felt Redfern unfairly painted all Inuit male leaders as sexual predators — she amended her statement to specify she meant "some" leaders. Premier Joe Savikataaq initially told CBC News that he had not heard of any issues of sexual harassment or sexual assault within the government of Nunavut. Subsequently, on the International Day of the Girl, his office issued a news release saying he was committed to looking at the territorial government's harassment policy. "As a male leader, as a father, grandfather, husband, and ally to women, I re-commit myself to this movement," the statement said. "I pledge to support and gain more knowledge and understanding of the disadvantage women and girls face every day, simply based on their gender." The premier has asked officials to review the policy and strengthen it, if necessary, according to an email from his press secretary. Elisapee Sheutiapik, Nunavut's minister responsible for the Status of Women, said in an interview there should be more context to the debate in Nunavut. "Sometimes our Inuit men are some of the most vulnerable, so let's be careful what we say here." Sheutiapik called the fact that Redfern singled out Inuit men "unfortunate." Though Sheutiapik said she was "shocked" to hear Redfern's comments, she also said she was harassed while travelling for work when she was the mayor of Iqaluit. It was a non-Inuk bureaucrat and she reported the incident when she returned home, she said. Though Redfern said she was "viciously" attacked online for her comments and that she received death threats, she received strong support for her statements on Facebook and Twitter. "I believe you," read two posts on CBC Nunavut's Facebook page. Another said, "I have stories about this behaviour." Numerous women shared stories alleging harassment — at least one as recent as the previous week. However, none of the women contacted by CBC News wished to speak publicly about their thoughts or experiences.